The Egyptian Mongoose in Castilla-La Mancha: Distribution, abundance, population trends, effects on their preys and social awareness (2018-2021). SBPLY/17/180501/000184. Regional Plan of Research of Castilla-La Mancha. Spatial analysis of animal protein demand and supply in two large African cities. (2017-2018) 8.06/5.46.4838, Wildlife Conservation Society through the Center for International Forestry Research (CIFOR). Time modelling of relationships between Ebola-virus outbreaks and atmosphere oscillation indices. (2017-2018) 8.06/5.46.4838, USAUD (US) through the Center for International Forestry Research (CIFOR). Bushmeat and disease (2015) 8.06/5.46.4500, DFID (UK) through the Center for International Forestry Research (CIFOR). Modelling ecological and geographical factors affecting Ebola distribution in African tropical forests (2014) 8.06/5.46.4324, Prof. John E. Fa. Study of the national-scale interactions between birds of prey inhabiting rocky environments. The case of the Griffon vulture, the Egyptian vulture and the Bonelli's eagle (2014) 8.07/78.4240. EDP Foundation. Biogeographic models of reptiles in Uruguay: a metodological conservation tool (2013-2015) National Agency of Research and Innovatioin (ANII), Uruguay. Analysis of stranding, awareness-raising activities and proposal of a Conservation Plan for the Short-beaked common dolphin ( Delphinus delphis ) in the nort of the Alboran Sea (2010-2011) 8.06/5.46.3618, Biodiversity Foundation. Study of the biodiversity in golf courses of the western Costa del Sol watered with recycled water (2010) 8.06/5.46.3482, Acosol S.A. Evaluation and improvement of management measures in rabbit populations (2009-2012) CGL2009-1665/BOS, Directorate General of Research (DGI). Recovering of the European wild rabbit ( Oryctolagus cuniculus ) in Monte de El Pardo (2009-2012) Consejo de Administración Patrimonio Nacional (Board National Heritage) - CSIC. Species distribution models: transferability in climate and land-use change scenarios (2009-2012) CGL2009-11316, Ministry of Science and Innovation and FEDER (Subprogram BOS). 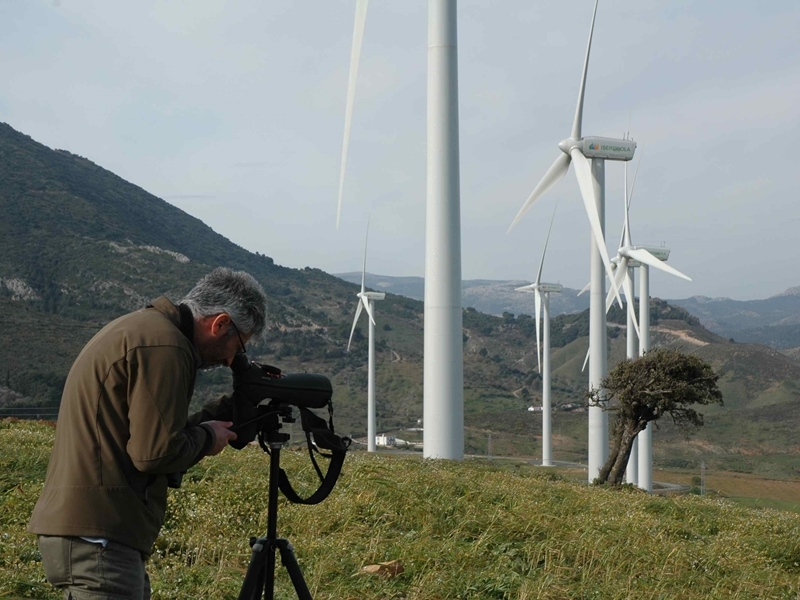 Optimization of the use of radars to minimize the risks of bird and bat colliding in wind farms (2009-2011) 8.06/5.46.3332, Toquero Renovables S.L. Inventory, monitoring and evaluation of the mountain goat ( Capra pyrenaica ) in Cabañeros National Park (2009-2010) 8.06/5.46.3324, Cabañeros National Park. 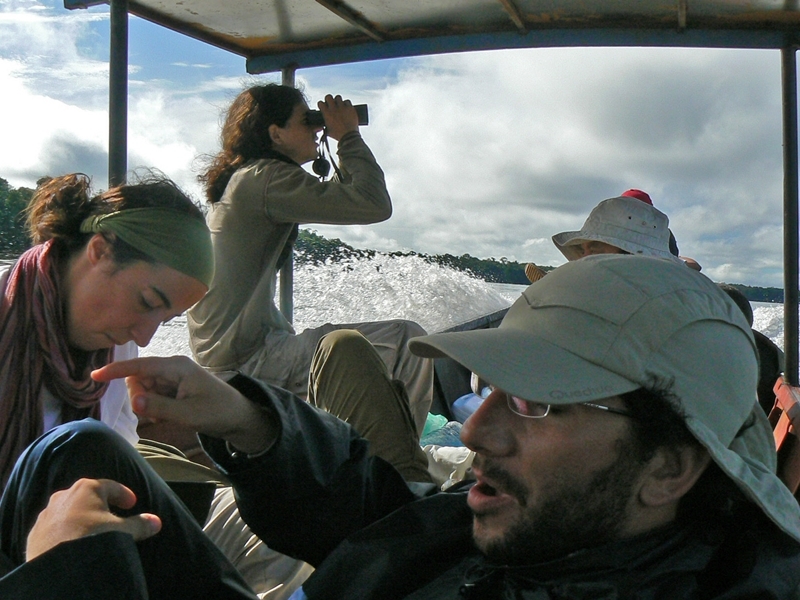 Integration of traditional and scientific knowledge to respond to the effects of climate change in the Amazon (2009-2010) A/017033/08, Spanish Agency for International Cooperation. Proposal for game management plan in Catalonia using game regions (2009) 8.06/5.46.3269, Forestal Catalana S.A.
Assessment of the impact of a new active matter at two different dossages, on the auxiliary arthropod community, in applications to olive crops against Prays oleae (2009) 8.06/5.46.3195, Syngenta Agro S.A.
V Spanish Congress on Biogeography (2009) CGL2008-01827-E/BOS. Consultancy and assistance contract for the design and application of the mammals monitoring system in Spain (2008) Tecnologías y Servicios Agrarios SA (TRAGSATEC). Consultancy and assistance contract for the completion of the 116 tabs on Habitats of Community interest in the sections related to mammal species (2008) Tecnologías y Servicios Agrarios SA (TRAGSATEC). Study applied to the conservation of a species of interest in Castilla-La Mancha: wild rabbit (2007-2010) VP/0119/07, Junta de Comunidades (Community Government) of Castilla-La Mancha. “Ex-situ” conservation program for faunistic species of environment interest affected by the expansion of Malaga airport (2007) 8.06/5.03.2931, AENA. Use of CIT for the development of indigenous peoples and social use of their language (Bolivarian Republic of Venezuela) (2007) A/4906/06, Spanish Agency for International Cooperation. Structural characteristics of coats and determination of the moulting dynamics in Micromammals (Insectivores and Rodents) of the Iberian Peninsula: moulting models and hormonal implications (2006-2009) RNM 935, Junta de Andalucía (Andalusia Community Government). Biodiversity modelling in Andalusia in the context of changes in land uses and climate (2006-2009) P05-RNM-00935, Department of Innovation, Science and Business of the Junta de Andalucía (Andalusian Community Government). Assessing the historical and ecological causes of vertebrate chorotypes in Spain to forecast their evolution in a climate change scenario (2006-2009) CGL2006-09567/BOS, Ministry of Education and Science and FEDER. Study of the Eurasian otter in Andalusian rivers as a bio-indicator of water quality, according to the Water Framework Directive (2006-2007) 1006/2006/I/00, Andalusian Agency for Water, Department of the Environment of the Junta de Andalucía (Andalusian Community Government). Rural development, natural reserve management and promotion of environmental education in town councils on the Amazon State (Bolivarian Republic of Venezuela) (2006) A/2511/05, Spanish Agency for International Cooperation. 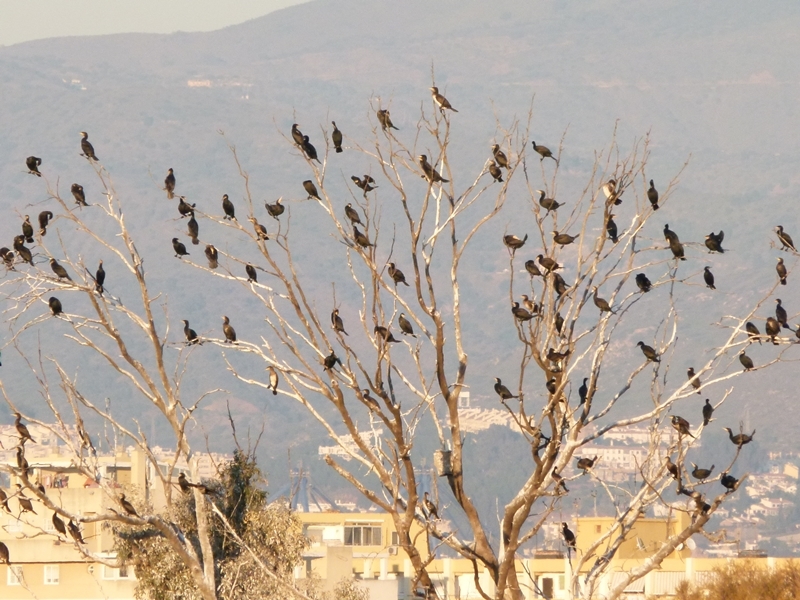 Analysis of the compatibility of the project for the construction of a non-dangerous waste deposit in the natural site of “Cruz Chiquita” (Cartagena, Murcia) with the presence of the Bonelli’s eagle and other birds of prey in the area (2006-2007) 8.06/5.46.2778, Hades Soluciones Medioambientales S.L. Collaboration agreement to update the Atlas of Land Mammals in Spain (2005-2006) Empresa de Transformaciones Agrarias (TragSA) and SECEM. Evaluation of the transformation of the undergrowth at the Doñana National Park, as a management measure, and its impact on the Micromammals community (2005-2008) 18/2003, Autonomous Body for National Parks. Ministry of the Environment. Assessment of the impact of Lambda Cihalotrín (50 and 80 g/hl) and a new active matter at two different dossages, on the auxiliary arthropod community, in applications to olive crops against Prays oleae (2005) 8.06/46.2460, Syngenta Agro S.A.
Computerization and applications of the Technical Plans for the Annual Report on Hunting in the Autonomous Community of Castilla-La Mancha (2005) PREG05-022, Council for the Communities of Castilla-La Mancha. Recovering and reintroduction strategy of the Pampas deer ( Ozotoceros bezoarticus ) in Argentina (2004-2007 ) 8.06/46.2304, BBVA Foundation. Impact of Confidor (Imidacloprid) on the auxiliary arthropod community, in applications to olive crops against Bactrocera oleae (2004-2005) 8.06/46.2303, Bayer Cropscience S.L. Spatial modelling of the biographic relation between Iberian mammals and their helminth fauna (2003-2006) REN 2003-02471/GLO, General Directorate of Research (DGI). Study of the Mar Menor fauna and guidelines for its conservation and management (2003-2004) CAAM II-123/02, GINVES 3480, Department of Agriculture, Water and Environment (Murcia). Integration of the phylogeographic history of Iberian vertebrates in spatial modelling and its distributions (2003-2004) 284/03, ref. HP2002-0098, Integrated Action for Scientific and Technical Research between Spain and Portugal. MCYT-University of Porto. Study of the impacts caused by the work on the Rambla del Garruchal dam (Murcia) (2003) 8.06/46.2161, Hydrographic Confederation of the Segura River. Zoogeographic analysis of the Mammals of La Pampa (2001-2004) 157, National University of La Pampa (Argentina). Analysis of compatibility of the exploitation of Cerro de Calvillo quarry with the declaration as ZEPA of the areas around Sierras de Burete, Lavia and Cambrón, in the province of Murcia (2001) 8.06/46.1759, Department of Agriculture, Water and Environment of the Autonomous Community of Murcia. Evaluation of the environmental impact in relation to the request to exploit quarries in the municipality of Benalmadena and in other nearby municipalities (2001) 8.07/26.1785, Town Council of Mijas. Improving conservation of endangered species and of those in danger of extinction at the Ornithological Park El Retiro (Malaga, España) (2000-2001) 1FD97-1571-C02-01, European Economic Community (Feder Funds) and Ministry of Education and Culture (National Fund R+D). Contribution to the sample design and development of a programme of macro-ecological applications for the Mammal Atlas from La Pampa (Argentina) ( 2000), (PR2000-0353-0024827536, Ministry of Education, Culture and Sports). Technical assistance for the development of the Red List of Wild Mammals in Andalusia (2000) Department for the environment of the Junta de Andalucía (Andalusian Community Government). Flamingo chicks ringing on the Nature Reserve of Laguna de Fuente de Piedra: monitoring, control, capture and marking (II) (1999-2001) 8.06/46.1230, Empresa de Gestión Medioambiental S. A. (EGMASA). Atlas of land Mammals in Spain (1998-2002) 8.06/46.1317, Spanish Society for the Conservation and Study of Mammals (SECEM). Atlas of the Spanish vertebrates: Breeding birds and Land mammals (1998-2002) Directorate General for the Conservation of Nature of the Ministry of the Environment. SEO-SECEM. Development of biogeographical criteria for the management of wetlands and water birds in the Iberian Peninsula (1998-2001) PB97-1083, Directorate General of Scientific and Technical Research (DGICYT). "Ex-situ" monitoring and control of reproductive parameters for tropical birds in danger of extinction (1998-1999) 8.06/46.1381, Ornithological Park El Retiro S.L. Development of slides and overheads for teaching subjects on Animal Biology (1998-1999) Institute of Education Sciences (ICE). Monitoring and control of rabbit and red-legged partridge populations in “Las Navillas” estate (Antequera) (1998) 8.06/46.1261, Mr. Iñaki Rotaeche. Study of populations of mosquitoes in the Guadalhorce river (1998) 8.06/46.1305, Town Council of Malaga. Development of Water Protection Plan for Laguna de Fuente de Piedra (Malaga) (1998) 8.06/46.1293,INI Environment (INIMA). Study on the Eurasian Eagle-Owl Bubo bubo and other birds of prey in the area around Cerro de Calvillo, Municipality of Mula (Murcia) (1998) 8.06/46.1390, Town Council of Mula. Methodological design for the sampling, inclusion and operative use of faunal data in the System for Environmental Information of Andalusia database (SINAMBA) (1997-1999) 8.06/46.1187, Department for the environment of the Junta de Andalucía (Andalusian Community Government). Flamingo chicks ringing on the Nature Reserve of Laguna de Fuente de Piedra: monitoring, control, capture and marking (1997-1998) 8.06/46.1230, Empresa de Gestión Medioambiental S. A. (EGMASA). Production of the Hunters’ Manual for Andalusia (1997) 8.07/46.1095, Department for the environment of the Junta de Andalucía (Andalusian Community Government). Study of the Chiropteran fauna of Cueva de Nerja (II) and of the vertebrate fauna in the area around Cueva de Nerja (Malaga) (1996) 8.06/46.1034, Patronato (Tourist Board) de la Cueva de Nerja (Malaga). Quantitative study of the pigeon population in the municipality of Malaga (1996) 8.06/46.1059, Town Council of Malaga. Contract to undertake the “Inventory on Spanish land mammals” (1995-1996) Empresa de Transformaciones Agrarias (TragSA) and SECEM. Study of the Chiropteran fauna of Cueva de Nerja (Malaga) (1995) 8.06/46.874, Patronato (Tourist Board) de la Cueva de Nerja (Malaga). Distribution patterns of waterbirds in Europe on three geographic scales (1994-1997) PB93-1002, Directorate General of Scientific and Technical Research (DGICYT). Improvement of the habitat of the Red-Legged partridge in olive crops (1994-1997) 8.06/46.989, Sociedad Estatal de Tecnologías and Servicios Agrarios S.A. (TRAGSATEC). Collaboration agreement to produce the "Distribution atlas of land mammals in Andalusia" (1994-1996) Environment Agency (Department for the Environment of the Junta de Andalucía, Andalusian Community Government) and SECEM. Seasonal patterns and topographies of moulting in Mus musculus and Mus spretus (Rodentia: Muridae) and the influence on the follicular cycle (1991-1994) PB90-0805, Directorate General of Scientific and Technical Research (DGICYT). Analysis of the census and control of activities on the wild boar in Nature Park Montes de Málaga , ( 1991-1992) , (661/91, Environmental Agency of Junta de Andalucía (Andalusian Community Government)). Monitoring and control of the Greater Flamingo ( Phoenicopterus ruber roseus Pallas, 1811) in Andalusia during the breeding season (1989 ) Environmental Agency of the Junta de Andalucía (Andalusian Community Government). Structural characteristics of coats and determination of the moulting dynamics in Micromammals (Insectivores and Rodents) of the Iberian Peninsula: moulting models and hormonal implications (1988-1990) PB86-0581-CO3-00, Directorate General of Scientific and Technical Research (DGICYT). Study of the biology and control of Microtus duodecimcostatus populations in irrigated crops in the province of Seville (1986) OF.A3.86.1, Directorate General of Research and Agricultural Advice Service of the Department of Agriculture and Fisheries Junta de Andalucía (Andalusian Community Government). Study of provincial natural heritage: hierarchical map inventory in natural areas (1986) Provincial Council of Malaga. Study of Micromammals (Insectivores and Rodents) in the South and the South-East of the Iberian Peninsula (1984-1986) 1416/82, Advisory Commission on Scientific and Technical Research (CAICYT).